Although the events recently seen in Action Comics #976 undoubtedly shook the DC Universe to its core, it stands to reason that the effects will first be felt all throughout the Superman family of titles. 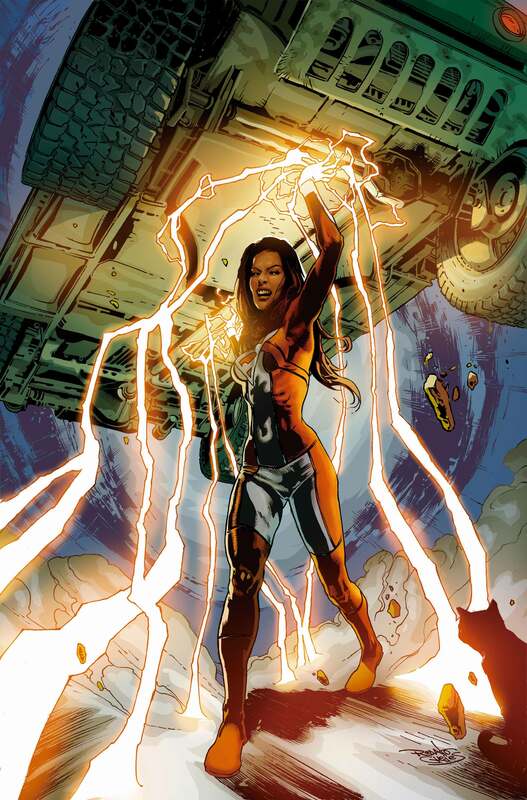 Knowing this, the publisher is releasing such books under the banner of “Superman Reborn Aftermath” next month, one of which is today’s topic for discussion, that of Superwoman #9. 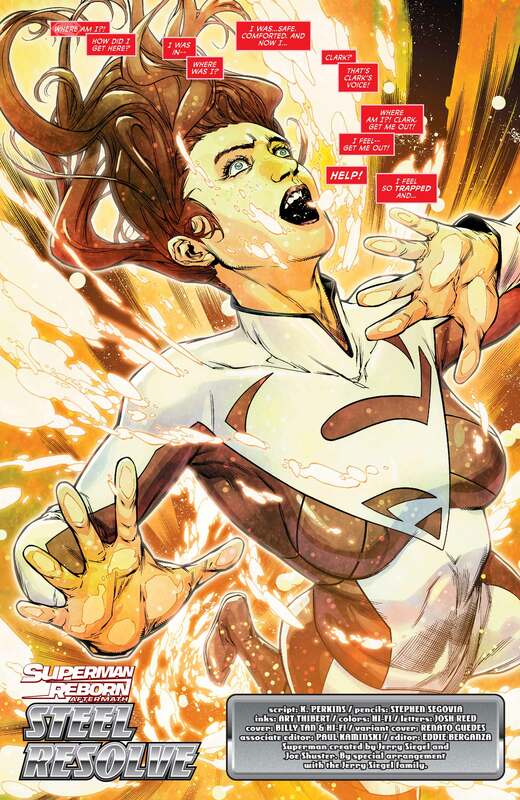 As the new creative team of writer K. Perkins and artist Stephen Segovia board the title with this particular issue, expect matters to get less easier as Lana Lang struggles with the hardship that comes with having the powers she inherited from the New 52 Superman upon his death. 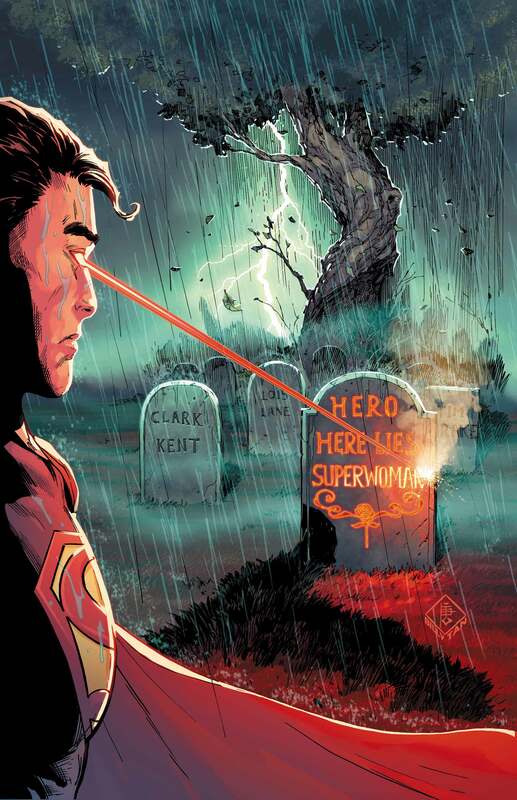 You know, now that Supermen pre and post-Flashpoint have been merged, will people still remember them as two separate entities? I guess we’ll have to keep reading in order to find out. On that note, expect to see a reunion between Lois Lane and Lana. 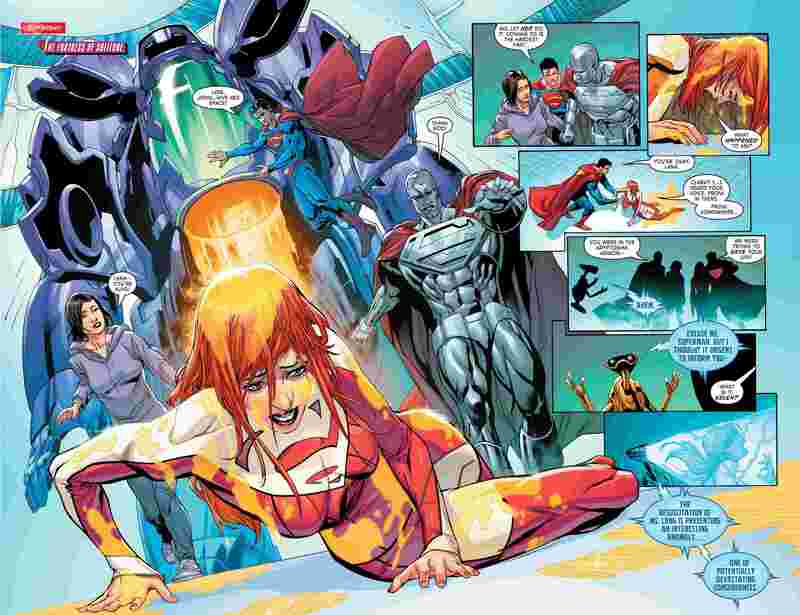 Much like her husband, two halves of Lois were joined together, the New 52 version of which also died. Seriously, I want to see how these conversations play out. “SUPER WOMEN” part one! 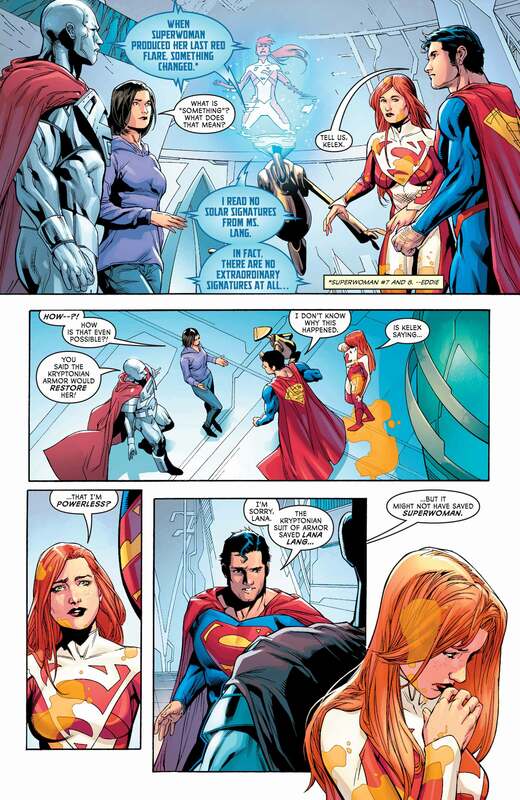 In this story tying in to “Superman Reborn Aftermath,” Lois Lane and Lana Lang find themselves reunited at last! Along with the Man of Steel, their reunion is cut short by the return of Cannon and Saber, who arrive to wreak havoc on the newly restored Metropolis. The mantle of Superwoman will be decided in this debut chapter of “Super Women”!